I have a server at home that handles a variety of tasks, such as DNS hosting/caching, media serving, home automation, printer/scanner sharing, and security camera control. I’ve been running everything on an old P3-733 Linux Box for over 8 years. This summer, in the interest of making a major upgrade as well as preparing for an eventual hardware failure, I decided to upgrade the hardware. Instead of building a new Linux box, I replaced the server with a Mac mini . 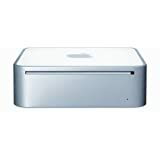 The Mac mini is incredibly powerful, small, quiet, and energy efficient. 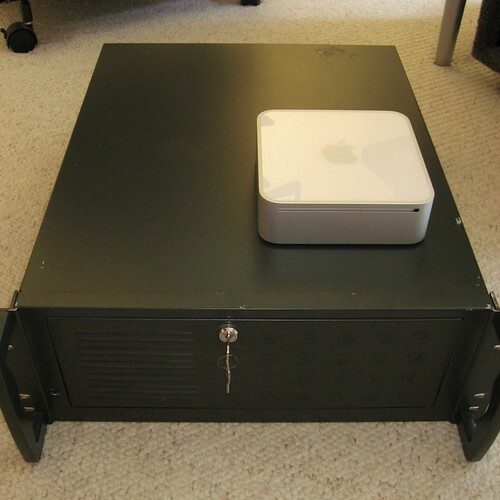 Check out the size difference between the mini and my old Linux server. These pictures barely do justice to the monstrous size of the Linux rack. I bought the “low end” Mac mini and replaced the hard drive and added more RAM. The process was simple. There’s even a handy video on YouTube that illustrates each step. Thanks to macports.org and Apple’s inclusion of the GNU tools, getting my server daemons up and running on the Mac was only a minor pain. I also installed the latest version of VMWare Fusion , where I’m running a Linux server on the Mac in a virtual machine. The mini is a great host for VMs. In retrospect, I wish I had set up the Linux VM first and kept my server daemons on Linux instead of going through the hassle of getting them to run native, but in the end, I like the resulting flexibility. The CUPS setup scripts (cupsaddsmb) on Mac OS 10.5 (Leopard) are broken. See this link for a fix if you want to share a printer with other machines on the network via Samba. If you need a USB –> serial port adapter, buy this one from Keyspan . It’s the only one that really works. Believe me, I tried a bunch of them. Want to play WMA Lossless music files on the Mac? Get the mplayer binaries from here. RealVNC Viewer is the only Windows VNC client that seems to allow for high-performance remote desktop connections to the Mac. Others work, but are much slower. Note that I run the Mac mini “headless,” and control it exclusively via VNC. 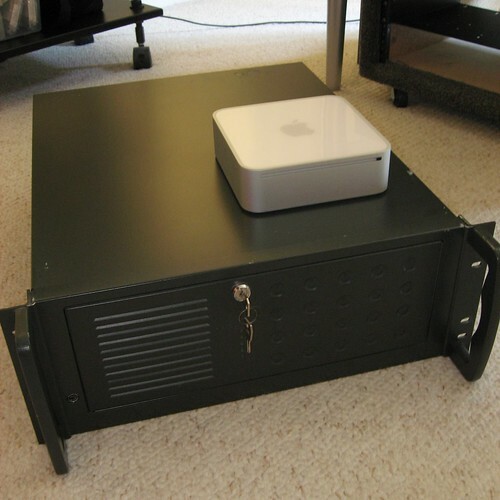 It’s hard to imagine a better piece of hardware for a home server than a Mac mini.